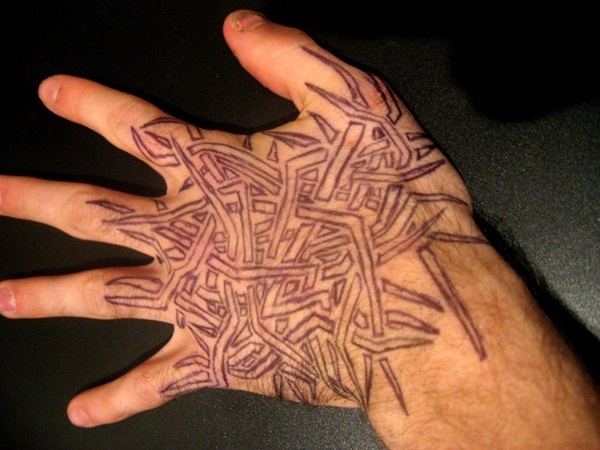 There are many followers of holy books who choose to place these pious verses on their hands. The verses have deep and significant meanings and watching them often keeps our mind and body fresh. 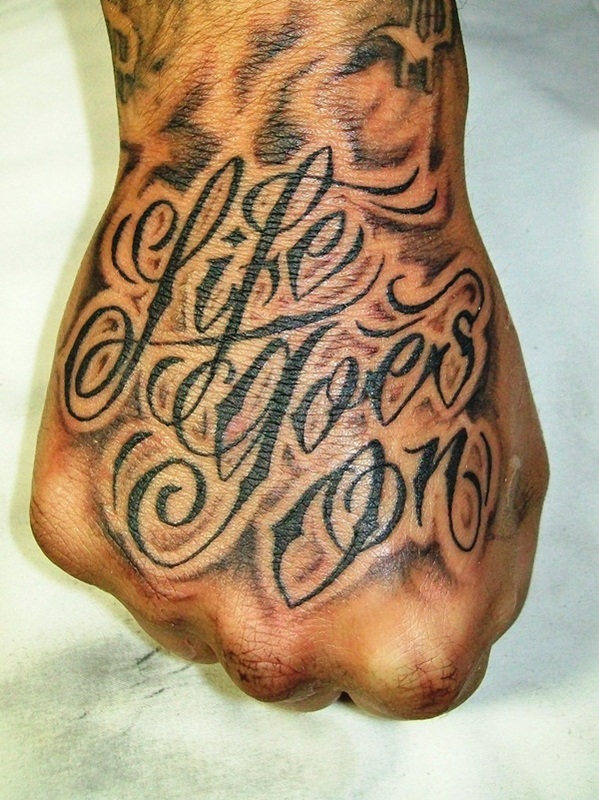 Hence many followers get tattoos of the verses from their holy books of religion on the hands. 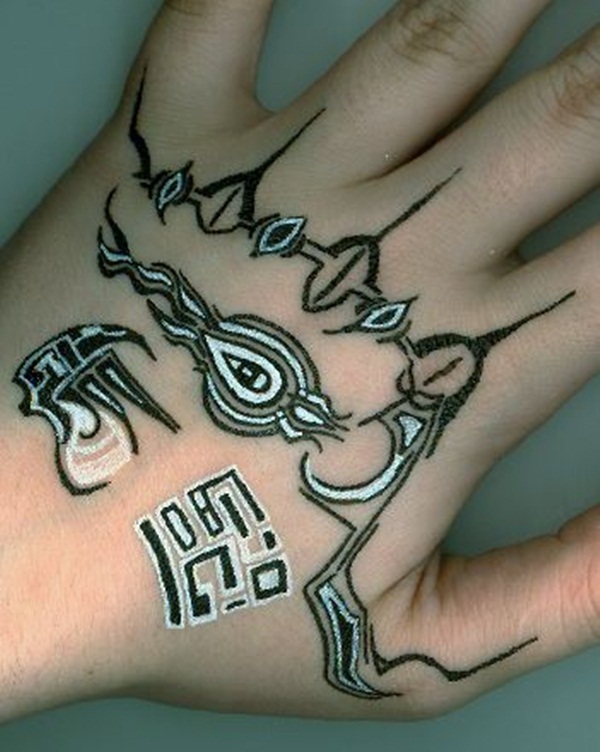 The scriptures look amazing when inked on hands and it also symbolizes the devotion of the person. The holy scriptures also reflect the personality and traits of a person and his knack towards reading holy books. There are numerous superheroes that enchant the teenagers and even enthrall the grown-ups. 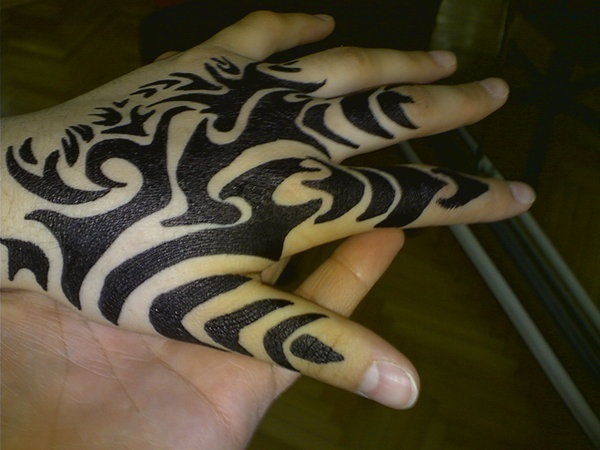 Hence some of us get encouraged to ink our hands with amazing tattoos of spiderman, batman and other famous superheroes. 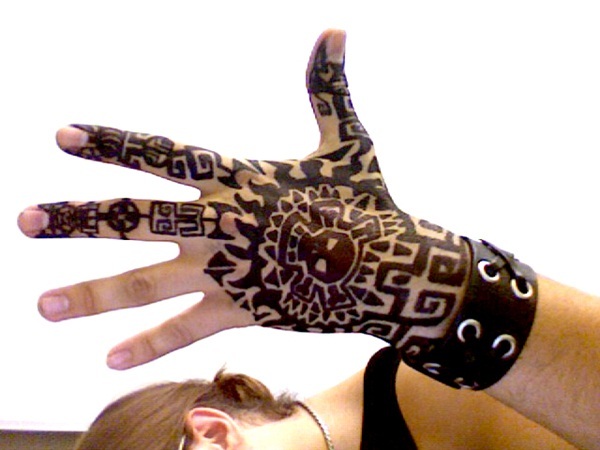 The designs have unique shapes and colors and gives a dazzling effect on the hands. moreover fans and followers of movies that focus on the lives of these superheroes prefer getting their hands inked with such tattoos. 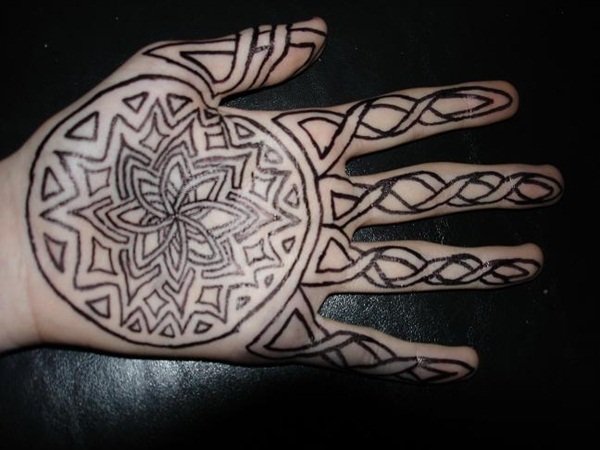 The tattoos cover the entire hand and makes an excellent display with its themes and background. 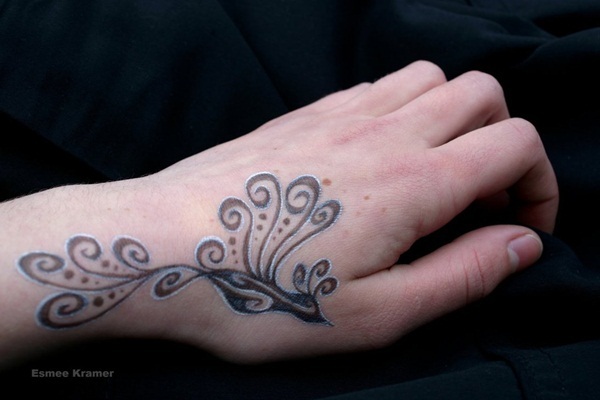 Tattoos have a wide collection and it dilates its designs to every niche of life. 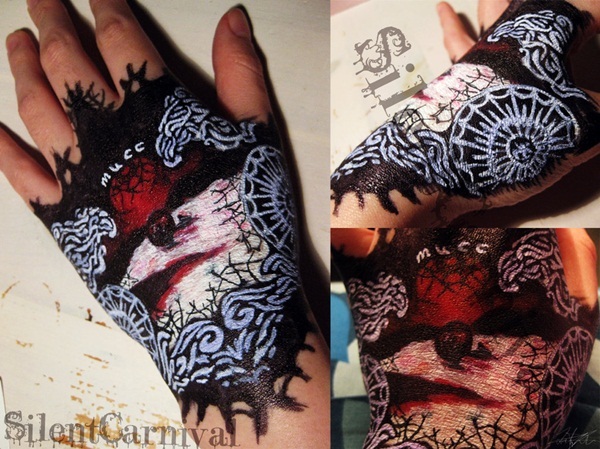 Horror tattoos are also pretty popular with its daunting designs and textures. 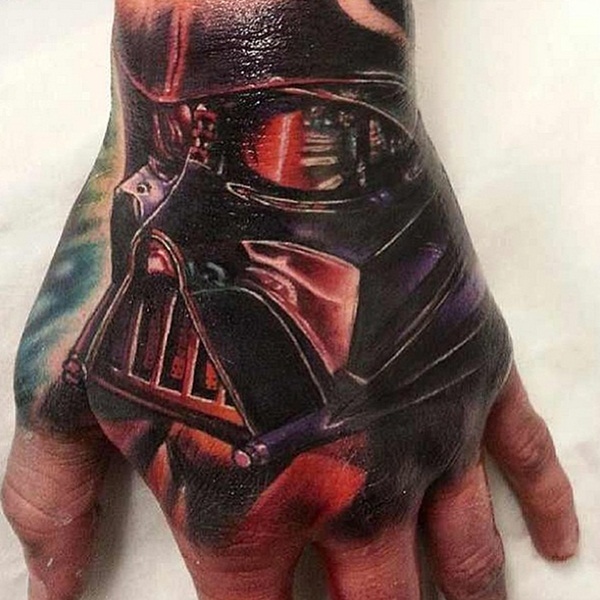 Such horror tattoos are inked on hands to catch the attention of people and often thrill them. The dark and mysterious themes mesmerize everyone with a fabulous image. It is quite amazing to see the light color strokes and wisps wrapping the hands with the design of a skeleton head. 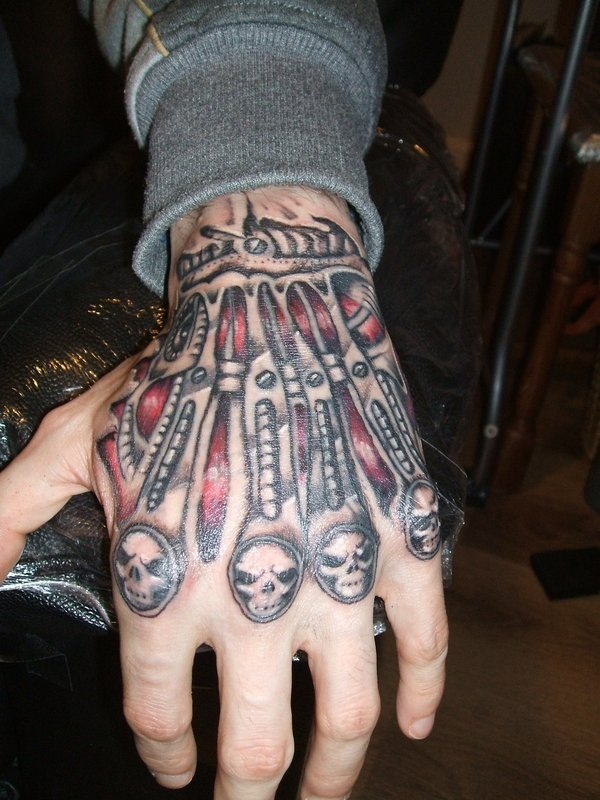 The bones and skull design also form a popular horror tattoo and it places a powerful image on the fists. 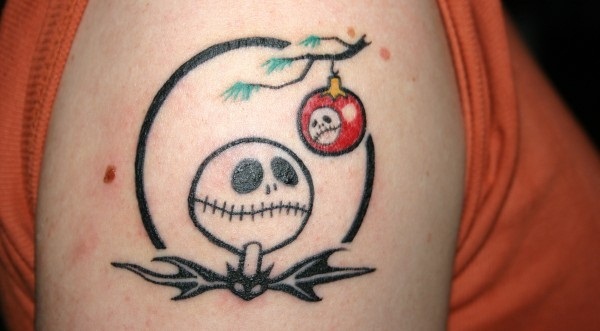 The skulls also mark a danger sign and boys and girls who mostly prefer solitude pick this option. There are people especially young boys and girls who are in deep love with their nation. 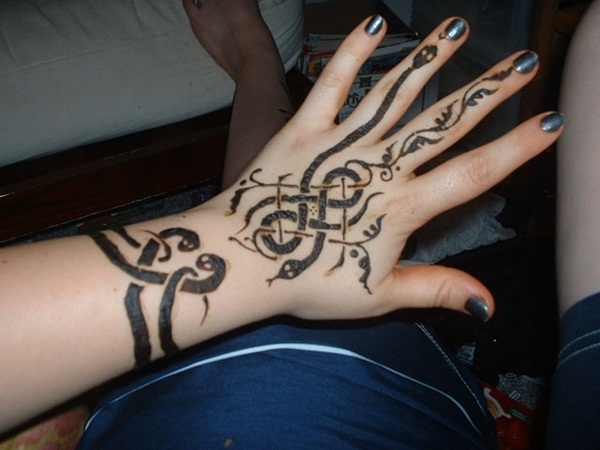 They choose to adorn their hands with tattoos having the maps of their countries or some significant mark and symbols associated with it. 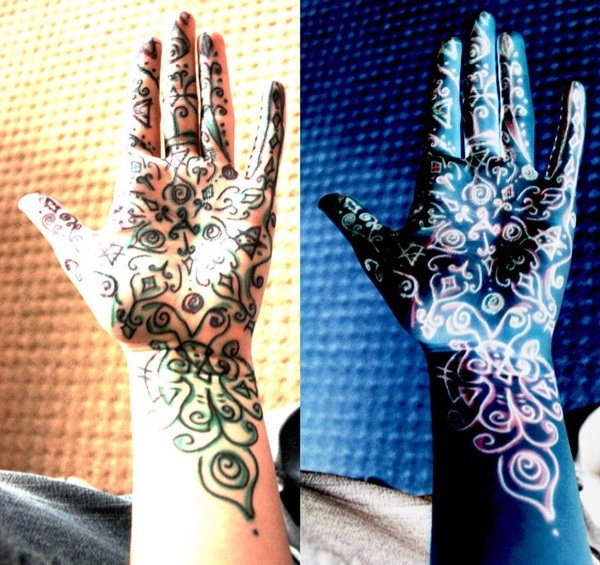 The colors are quite vibrant and it makes an amazing appearance on the hands. 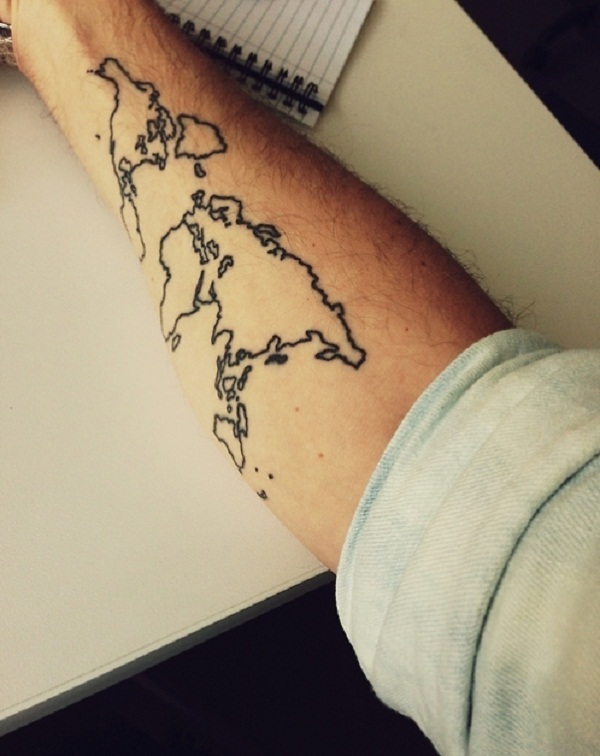 Hence many people choose to ink themselves with tattoos on maps. 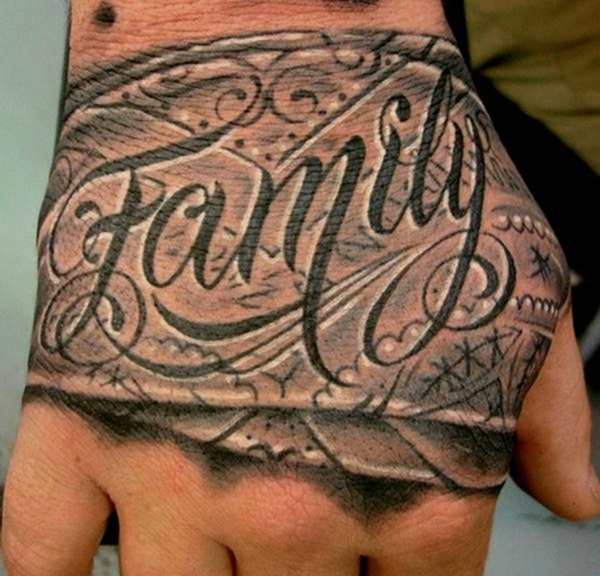 Hands make an incredible canvas and hence many tattoo artists love to work a complete tribal background on it. 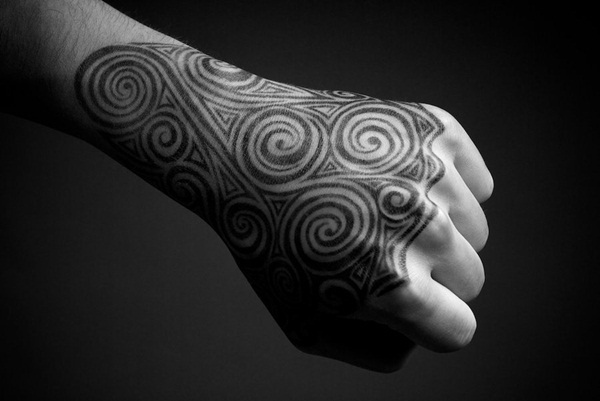 It focuses on the large segment of tribes and it covers every edge of hands including the finger tips. 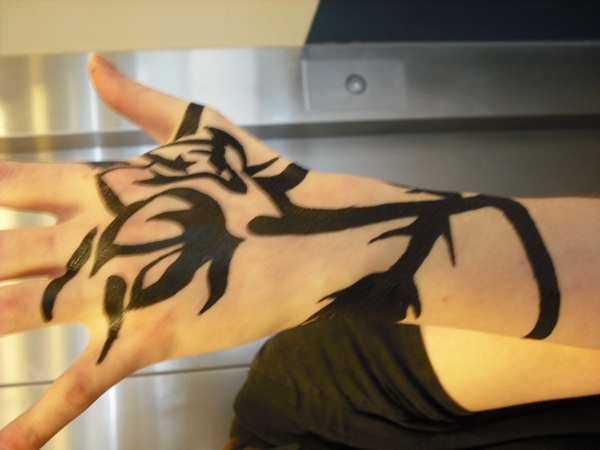 Scorpion tribal tattoos are a very popular form tattoos which makes a great show of the designs. 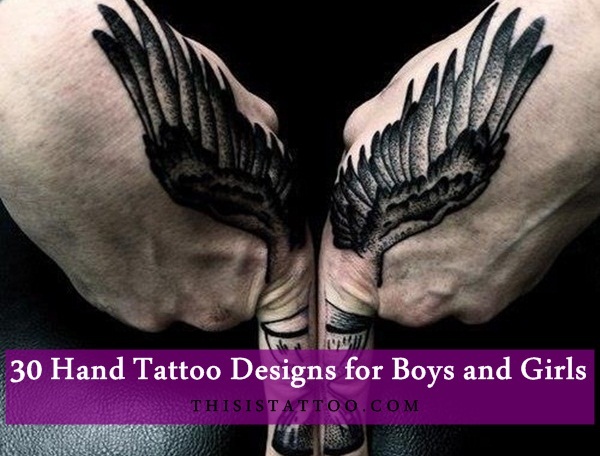 There are different options available for tattoos and it panders different objects of nature like stars, moon, sun, butterflies etc. 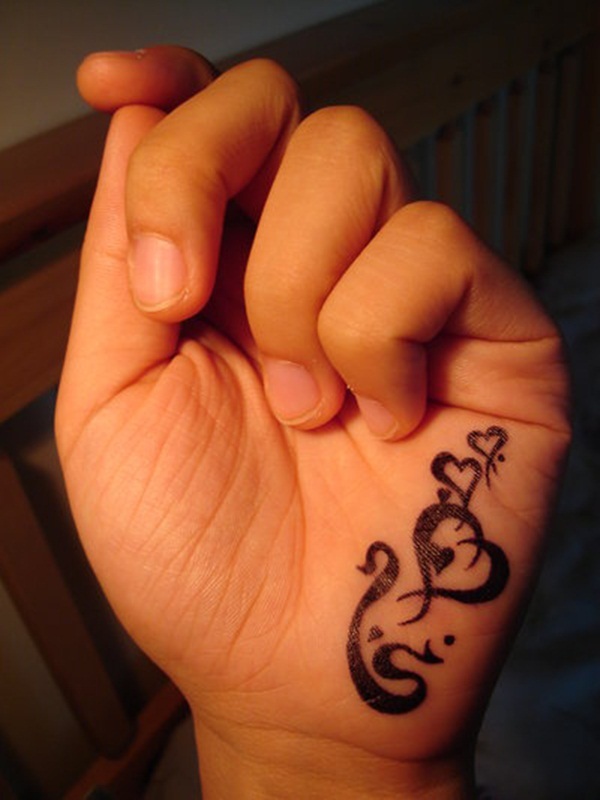 they symbolize different meanings and often narrate a tale. 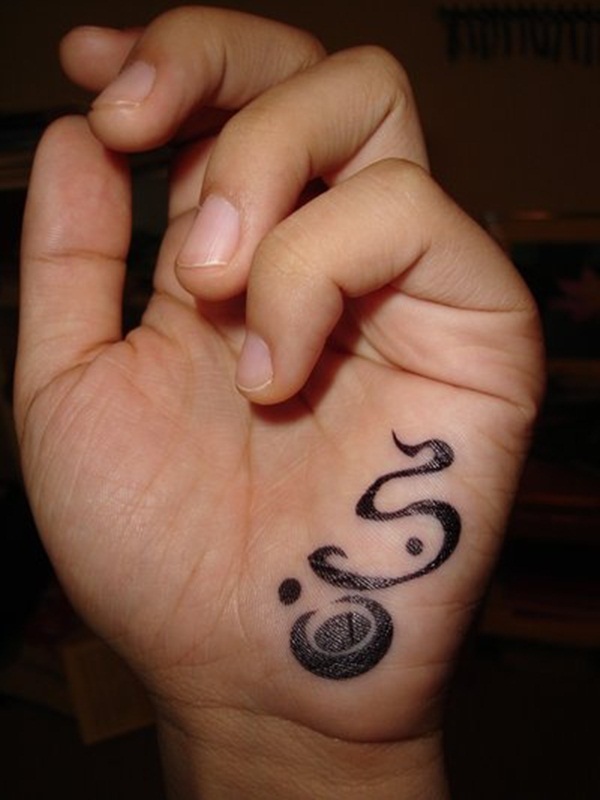 Tattoos on universe mainly signify hope, optimism and happiness. 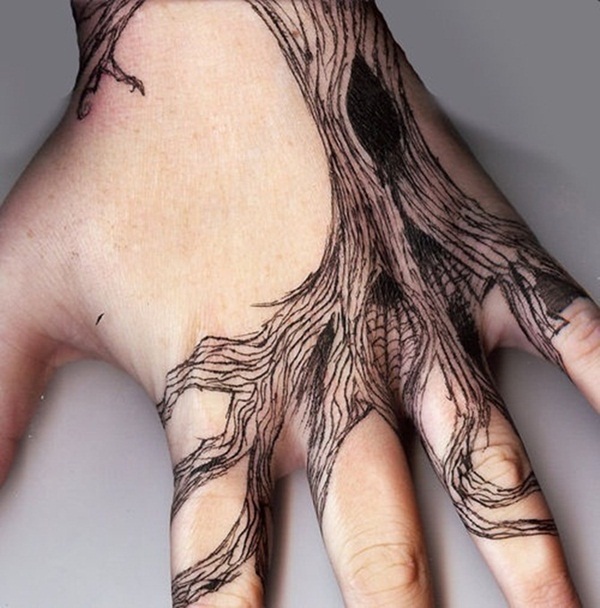 Such tattoos on hands look splendid with its unique strokes and shades. 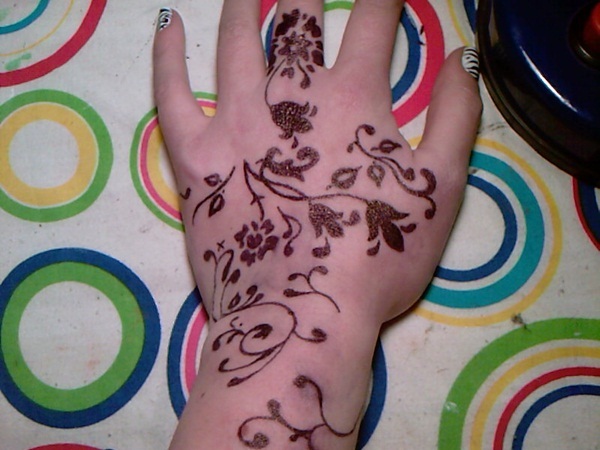 People also prefer showcasing floral designs as it offers a huge choice of designs and colors. Flowers look captivating with its amazing petals and swirls. 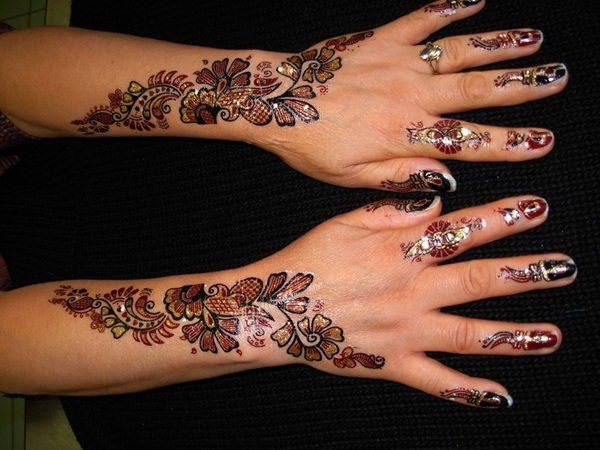 It covers the entire hands and can be flaunted loudly in gatherings. 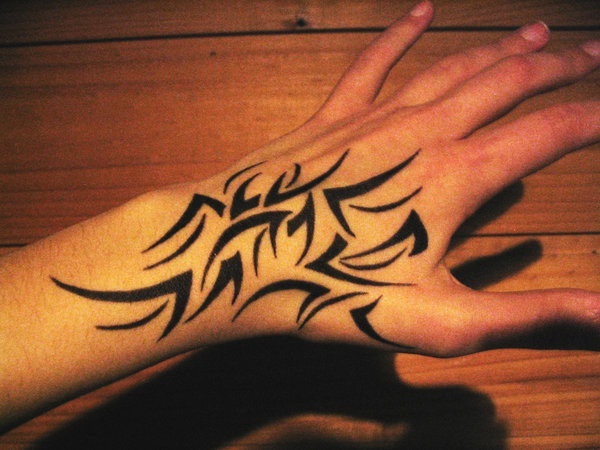 Celebrity tattoos are also preferred by a few fans who love to emboss the picture of their ideal personality on their hands. 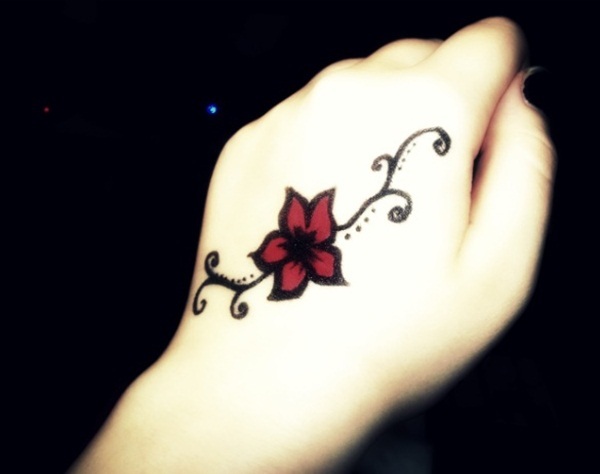 However only a talented tattoo artist can picture the person properly. It looks quite mesmerizing with the apt strokes.